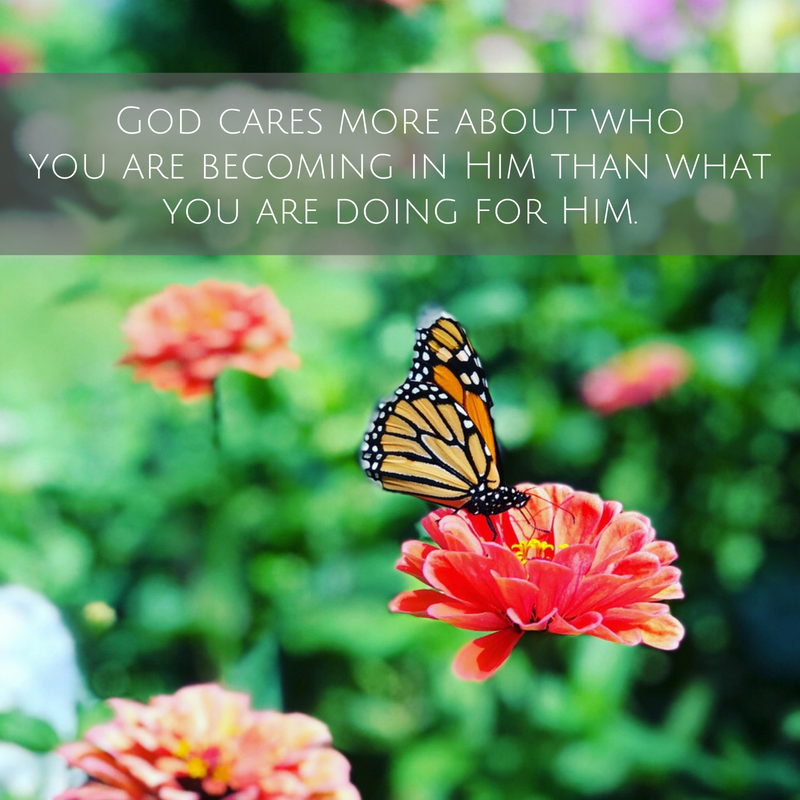 God cares more about who you are becoming in Him than what you are doing for Him. That’s a great sentence, and it’s one I wish I made up. Because I don’t know about you, but I definitely spend way more time doing for God (trying to be a good wife and mother, to help out at my church, to write some sort of life-changing blog…) than I spend being with Him. And being with God is, of course, where the really good stuff–the actual life-change–takes place. But alas, I didn’t make those words up. I stole them from our friend Ty Saltzgiver, the guy who baptized Robbie and me in the Jordan River last March. If anyone knows about “doing” for God, it would be Ty. 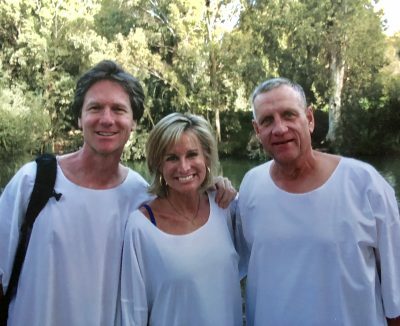 He spent over 40 years with Young Life, leading about a bazillion teenagers to Christ. He speaks all over the country, equipping folks to live for what matters. And he’s written 11 faith-shaping books (with number 12 in the works). If God had a “what have you done for me lately” ladder, Ty could sit on the top rung. But God, as we know, has no such ladder. Sure, He wants us to be good parents and lovers, good bosses and workers, good servants and friends and all that–but, as Ty says, none of those things are the “main plot” of our lives. The main plot is God shaping us–changing us–into the person He wants us to be. A person who looks a whole lot like Jesus. I spent this past summer trying to “be” more and “do” less with God. I’d read about the disciples, and how Jesus called 12 of them to be with Him, before they did anything else. That seemed like an excellent plan. And what better time than the summer to shelve things like speaking engagements and writing projects and just sort of…hang out with Jesus? Yeah, well. It didn’t work all that great. And if you want that, too–if you want to look more like Jesus as you spend time with Him–I’ve got some very fun news. Every Friday in September, I’m going to pick an excerpt from one of Ty’s books–something that will draw us closer to Christ–and talk about it here. And each week, as a fun little bonus, we’ll give away one of his books. So…I can’t wait to meet you back here next week! And in the meantime, let’s think about who we’re becoming. And let’s ask God to shape us–to transform us–into the men and women He wants us to be.